Beyond The Locomotive Described On Paper. Useful information for those who don’t know anything about steam locomotives. 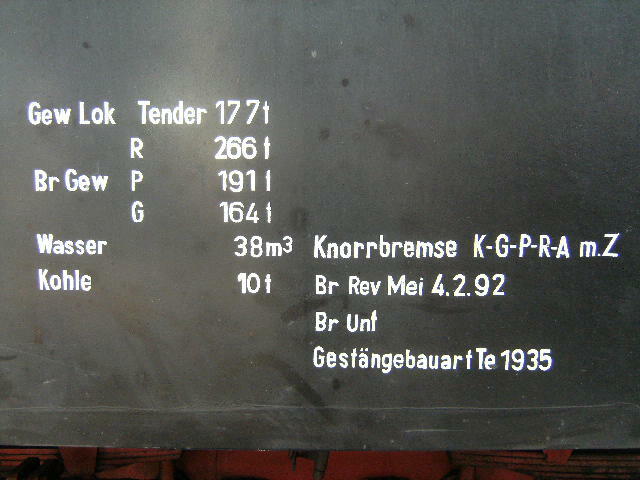 The driver will know these details from a glance at the loco. When driving it, he’ll know by the smell if it’s working properly. its weight and a few other things. But this is how a bureaucrat sees the locomotive, and they see something very different from the people driving and maintaining the things on a daily basis. Indeed, in the Britain of the 1930s, the crew of the crack non-stop ‘Flying Scotsman’ service from London to Edinburgh would stack the coal so carefully as to get nine tons into a space allocated for only eight. But then, if you can’t stop for 400 and more miles – even if it means slowing to a crawl at an inescapable stop signal – having a little more coal makes a lot of sense. Again, this kind of thing is obvious to the engine driver and shed staff, but beyond the capacity of the desk driver to conceive of. The Flying Scotsman in 1928. Because a locomotive driver would know the individual tendencies of each locomotive in the shed, know which would be best suited for which route, be it hilly or flat; the load heavy or light, fast passenger or slow freight. The finer points of driving a steam locomotive are learned through practice and cannot be explained to someone who has never done it. Maintenance As An Expression Of A Bureaucracy. Now it is true that the engineering standards of the Reichsbahn were far higher than their contemporaries in the UK and US, with the single exception of the Great Western Railway of southern England that used German optical devices that allowed them a higher tolerance machine. Now it makes simple economic sense to scrap a locomotive that has become worn through use; but the Great Western Railway scrapped their locomotives with tighter, higher tolerances than the other three Brisish railway compaines built theirs new! Running high-quality machines makes sense because of the reduced potential for breakdown, which always costs ten times as much as normal. 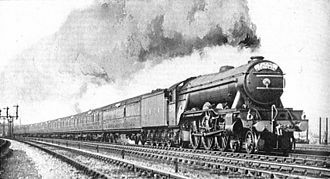 The London and North Eastern Railway (LNER) was plagued by breakdowns, most notably on their acclaimed speed run with the famous locomotive ‘Mallard’, where the crank for the central cylinder overheated and exploded. 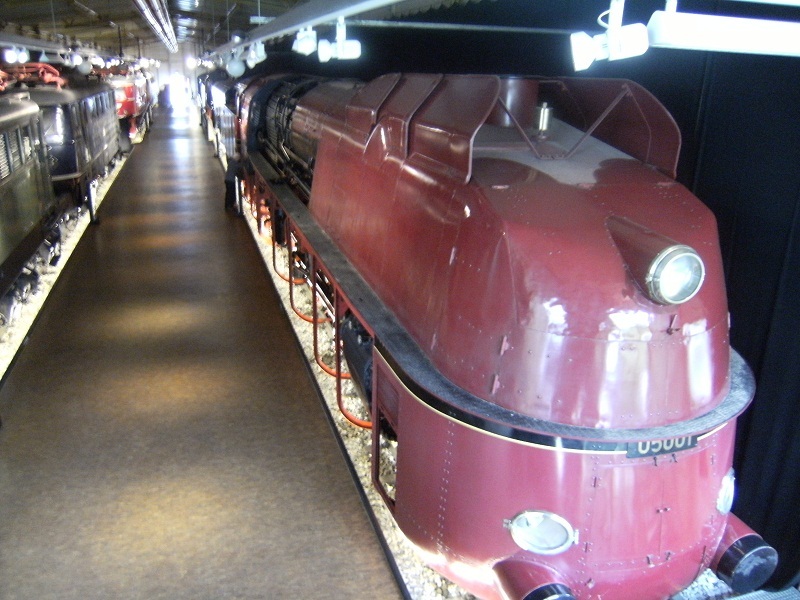 The overheating of the central crank was a known problem with the German Reichsbahn’s own streamliners, where too little air got to the central crank; however, none failed in the spectacular manner that the British locomotives occasionally did. The German 05 series streamliner had held the speed record of 200km/h in 1936, but without breaking down. Well, if a machine is well built, it’s not going to break down, is it? But all of this would be well outside the realm of a bureaucrat to think of. Material Quality Leads To Sameness. In Britain, with poorly built and badly maintained machines, each locomotive would have its own character, built up not from quality – quality in the realm of the material always leads to homogeneity – the character would arise from the deficiencies of each individual machine. The lowliest Reichsbahn goods locomotive would be better built than the British locos pulling the crack non-stop expresses, and this at a time when all the profits from the Reichsbahn had been creamed off by the victors of world war one. They had had less money to invest than the British companies; but again, make a solid investment in quality, and that investment lasts longer than a poor investment. It is investment that pulls a business out of the constrictions of purchase money, and good investments always pay off in the long term. The dire state of modern US and UK railways is a result of badly made, short term investments. This is a mistake that Germans simply cannot make; they invest and they make sure their investments pay. It’s part of their culture, and it is actually what makes the German economy fit the Anglo-Saxon model the better. If only the Anglo-Saxons learned from this, rather than trying to smash the Germans for the last 150 years and so make the Anglo-Saxons look better on paper. But again, this is bureaucrat speak! Their knowledge of these machines sits on paper, gives numbers and figures – most of which are totally irrelevant on the day-to-day basis of keeping the things moving and earning their keep. The smell of an overheating crankshaft would waft by the bureaucrat unnoticed. The point is that the bureaucrat in wishing to paint these figures on the side of a locomotive, actually make it clear to the drivers and shed staff that they are complete imbeciles. Those numbers have as much use to a railway man as the graffiti we see sprayed on the buildings we pass. The problem for the staff is that the bureaucrats and managers are in control, and if you follow my series on ship design, you will see how abstract thoughts make skills less necessary, and furthers the homogenization of and commodification of the human. Only at the same time this makes the organization less flexible and less ready to survive changes. Not for nothing do bureaucrats get dementia, the sclerosis of the mind. In contrast, the skilled and active are far less likely to. These are processes that affect humans on an individual basis, or as groups (like a business); understand the nature of the process and you will understand how to overcome it. Next Post The Biggest Ship in the World.